Professor Gottlieb’s research concerns ancient Greek philosophy, especially issues in Aristotle’s ethics and metaphysics. 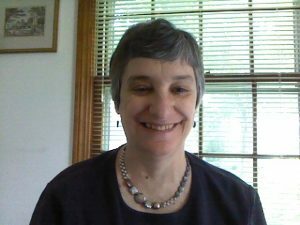 Her work includes a book-length analysis of and commentary on Books I and II of Aristotle’s Nicomachean Ethics for Project Archelogos(2001), “The Practical Syllogism” in The Blackwell Guide to Aristotle’s Nicomachean Ethicsed. Richard Kraut (Blackwell, 2006), a recent book The Virtue of Aristotle’s Ethics(Cambridge, 2009, pbk 2012) and the chapter on Aristotle’s Ethics for the Oxford Handbook of the History of Ethics ed. Roger Crisp (Oxford, 2013). She is writing another book, tentatively entitled “Aristotle on Reason and Feeling”, for Cambridge University Press, with various related papers forthcoming. She also writes the entry on Aristotle on non-contradiction for the Stanford Encyclopedia of Philosophy (last updated, 2015). She was Central Divisional Representative to the Board of Officers of the American Philosophical Association, 2012-15, and has been awarded an NEH fellowship for 2018-19.